A simple and fun way for your child to develop patience, categorization and recipe following skills ! 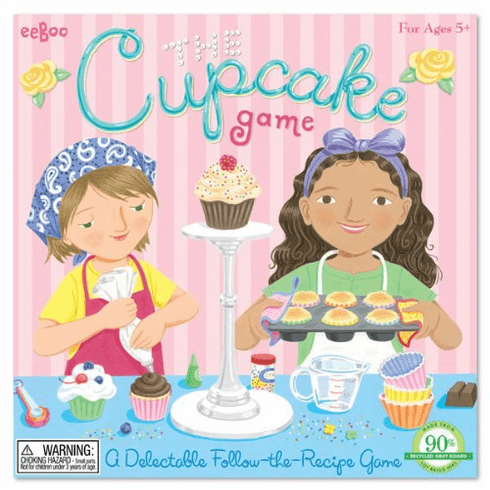 This cupcake spinning game is a great learning activity to do with your child. The object of the game is to bake your recipe before anyone else in the game. Each player tries to collect their ingredients for their recipe . The first to collect all their ingredients wins. For ages 5+ Game for 2-4 players. Made from 90% recycled gray board with soy-based inks, Paper spinner included with four delicious cupcake recipes to choose from!